The former England captain was welcomed to Dublin's Aviva Stadium like a pantomime villain, but he left with cheers ringing in his ears. Over the past four months, Mike Tindall has become somewhat of a dissenting voice amid the din of praise for Ireland. Sure, he says, they are Grand Slam champions and win tight games and have good players, but he senses a weakness in how they defend so narrowly and leave so much space in the back-field. He feels Joe Schmidt hold the reins too tightly and that this team is actually capable of a lot more in attack. He also points out that Ireland have a poor World Cup record and that they may well struggle to get beyond the last eight in Japan, later this year.  So, when the UK's House of Rugby came to Dublin, during the week, for a bumper Guinness Six Nations preview, Tindall got the welcome he was expecting when hose Alex Payne welcomed him onto the stage. Racing 92 and Ireland star Simon Zebo (to the right) certainly enjoyed it. "If ever there was a night for royal protection," joked Payne, "this is it." "I think John Mitchell saved me," Tindall replied, in reference to the current England assistant coach commenting that Ireland would try to 'bore the sh*t out of us' in the Six Nations opener. Given an opportunity to back-track on some of his previous comments about Ireland, Tindall bravely opted to reiterate them. The 2003 World Cup winner then doled out some home truths to Italy and Wales before saying France could surprise a few people in the championship. As for England, Tindall feels they are playing too conservatively too, given the talent they have at the disposal of Eddie Jones. "I never said that England were a good team," he said, eliciting a huge cheer from the Irish crowd. Tindall believes Joe Schmidt is quite happy to take on England in a physical battle and will back his starting XV, and a very strong bench, to get the edge over Jones' men. 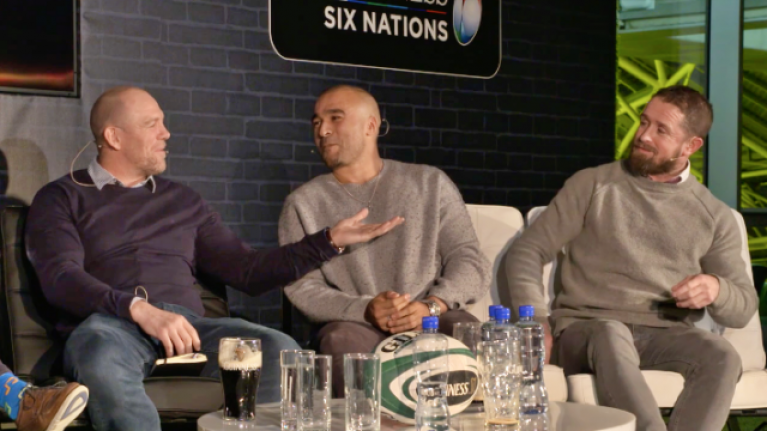 Payne then asked the opening panel on a star-studded night - Tindall, Zebo, Shane Williams and Rory Lawson - to lay their cards on the table with predictions for tournament winner. 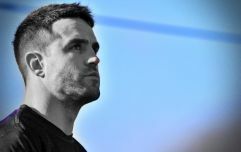 Former Scotland scrum-half Lawson backed his 'Celtic cousins' Ireland to get the job done and Zebo agreed wholeheartedly with him. Tindall also backed Ireland to beat England and said they deserved to be listed as favourites to retain their title. It was left to Williams to back Wales to win the Six Nations, especially as they have England and Ireland at home. As the night went on, the mainly Irish crowd warmed to Tindall as he spoke about his many encounters with the men in green over the years and took pops at Williams' Wales, Lawson's Scotland and, while he was at it, Italy and France. He raised a few eyebrows, then laughs, when he predicted either an Irish forward or France's Camille Lopez to win player of the tournament. Moment of the night came in the third and final panel, though, as Tindall serenaded the room with a stunning, full-length rendition of 'Boom! Shake the Room' by the Fresh Prince (Will Smith). 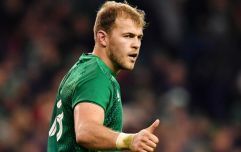 There was a standing ovation as he wrapped up that ditty and, as the night concluded, there was a queue of House of Rugby fans in green jerseys looking for a snap with the former England centre. Mike Tindall came, fronted up and left a hero.